The human being created civilization not because of willingness but of a need to be assimilated into higher orders of structure and meaning. The basic human need to be watched was once satisfied by God. Now, the same functionality can be replicated with data-mining algorithms. JC Denton. Odd name for a video game character. Sounds too bureaucratic. Like a government executive working 9-5 arranging files for his superiors. 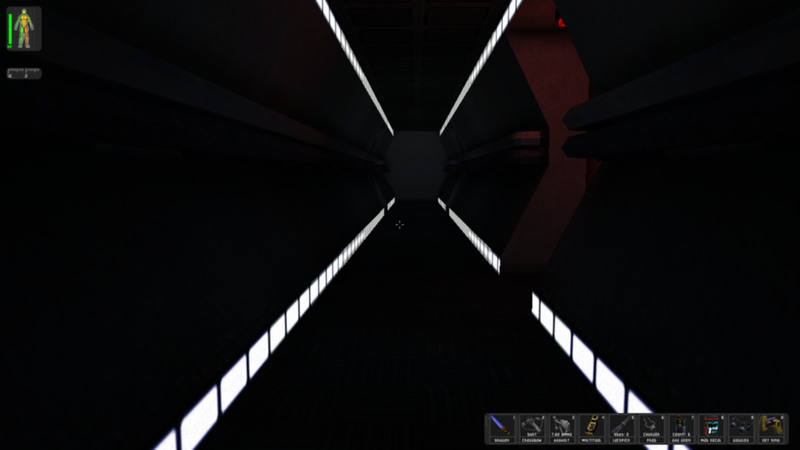 First few minutes with Deus Ex left me with mixed feelings about the game. It didn't really feel like an fps. It was too slow. And the main character seemed to be devoid of any personality. My first impression of JC was not too far from the mark either. He was indeed a government agent. Working for UNATCO. The United Nations anti terrorist coalition. But the world was dark and I sensed a conspiracy bubbling underneath the surface so I kept on playing. 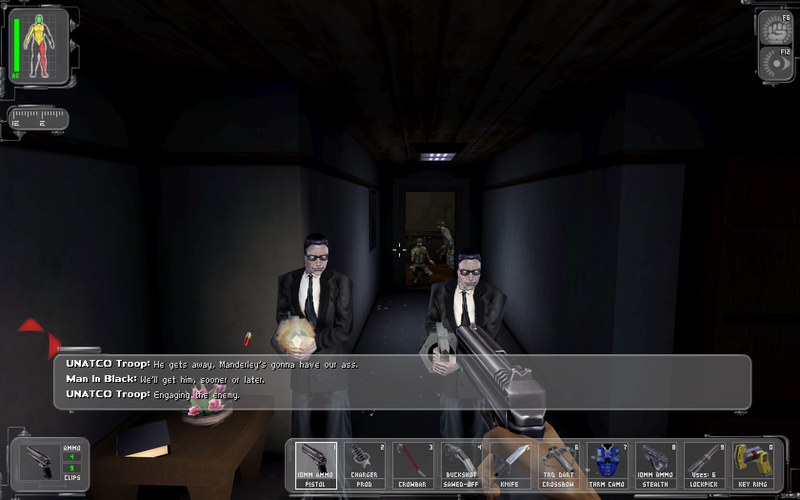 Although Deus ex looks like a first person shooter it played best as a tactical shooter. An all guns blazing' approach will not get you far in the game. The enemies in are pretty strong. If you want to take them out then you better aim for the head. The ammo is in limited supply so if you do take a shot then make it count. And some times the hit detection is a bit off so if you take a shot and miss then you can be certain that an alarm will be raised and the guards will surround and kill you in an instant. The game however does give you implements to approach your objectives in a more tactical manner. An enemy can be disposed off by approaching him silently from behind and knocking him out with an electric prod. The cameras can be disabled. The turrets can be turned against the enemies. And you can sneak by the security bots. The game makes no assumptions about your actions though. Nothing is forced upon you and you are free to take the approach you see fit. However in general exploration is rewarded. The gameplay consists of completing mission objectives on a level and progressing to the next one. Completing the objectives gives you skill points that can be used to upgrade one of the several skills that the game offers. However you will soon discover that you need to have a solid understanding of you play style in order to build an effective skill set. Upgrading demolitions weapons for example when you are taking a stealthy approach will give you no benefit. However upgrading the electronics or computer skill will open up new paths for you. In addition to skills the game offers nano augmentations that enhance your physical capabilities. Though like skills you need to be very sure of how you want to approach the game. Once installed an augmentation can not be removed. However it can be upgraded to make it even more powerful. You see JC denton is not a regular employee after all. He is a nano augmented machine built specifically to help the government. Ah very good question indeed. Throughout the game you will find yourself working for many powerful people. You start off as a UNATCO employee but later defect to join the hands with the "terrorists" and learn that there is a much bigger power who is conspiring against the common good. In the end though you get to decide who forms the ruling power. It is never clear. As all of the organizations you work with follow a strict mode of conduct with their own views on what's good for the people. From the sophisticated officers of UNATCO to the thugs of hong kong every one follows their own principle and it can be difficult as an "outsider" to say who is right and who is wrong. Consider this. The game starts off with JC tracking down shipments of ambrosia that have been stolen by a terrorist organization called the NSF. The ambrosia cures gray death, a deadly virus that has spread throughout the world. As JC discovers one container after the other he uncovers a greater truth that the grey virus has actually been manufactured by the government so that it can sell more vaccines. The "terrorists" that JC joins are not selfless as well. They are looking to upset the governments plan so that they can control the communications and rule "with an invisible hand". Throughout the main story JC will interact with many compelling characters. Agent Navarra at the start who is jealous of JC because he is made from the latest technology that will make her redundant. She makes no effort to conceal her feelings and is quite hostile towards him. Bob page a top official who seems to have a very heavy influence on the inner workings of UNATCO. JC's own bother Paul who is under scanner for not performing his duty. Tracer tong a genius doctor who can help find the cure for gray death but has been declared by UNATCO a terrorist and so on. And this is just the main cast. When you play the game there are even more compelling characters to interact with like sam carter the ex military man, Alex Jacobson in the communications department and my personal favourite Morpheus (no not the guy from matrix). However the interaction with the characters only forms a small part of the story telling in deus ex. The most interesting information comes via the written text. Books scatted around places. Emails on hacked computer terminals. 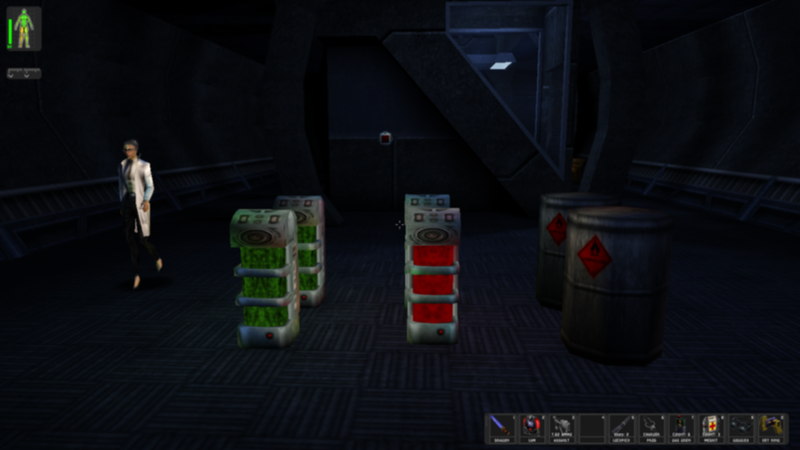 Data cubes containing research notes and newspapers. The amount of reading material in deus ex is huge. And to gain a good grasp on the story to know the effect of your actions it is necessary to go through them. The books are mostly random selections of work from classic authors like GK Chesterton to fictional pieces like Jacob's shadow (a thriller side story in the game which you have to collect to read!). I don't think that it will be an exaggeration to say the Deus Ex is one of the most well written games ever. Which brings me to only quibble that I have with the game. The text is so darned hard to read. It is a real shame that on the written material which adds so much depth so little effort was expended to make it a bit more easier on the eyes. 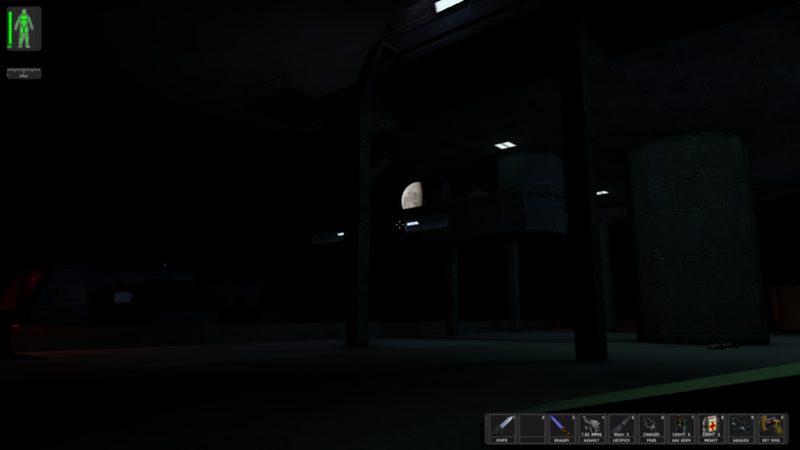 The fact the most of the environs of the game are shrouded in dark does not help either. On more than one occasion I found myself reading the material on the wiki rather than in game. 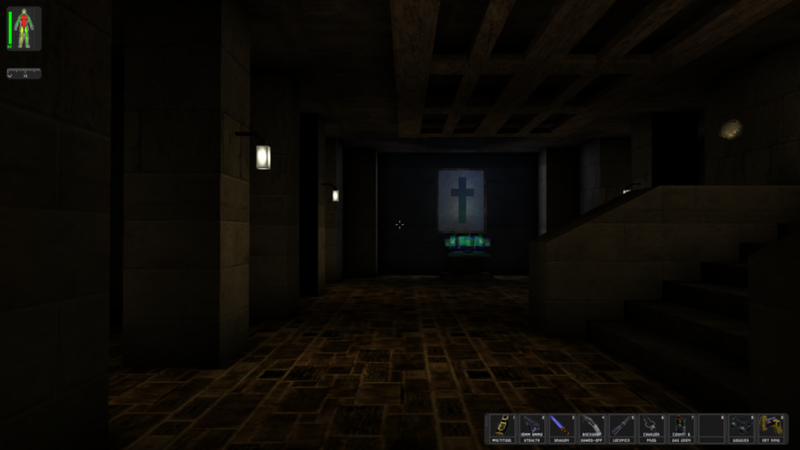 I never thought that I would like a game like Deus ex. I am not a big fan of conspiracy stories. But Deus ex turned out to be much more than that. It is an inspection of human nature and how it behaves under the influence of power. One of the benefits of having a weaker laptop is that you tend to give old games a chance since none of the newer stuff would run on it. For years I had read about the experience people had with Deus ex and I used to say to myself that I will play it someday. I ignored it for far too long just so I could play games that made better use of the hardware that I had. On my weak net book however I decided to finally give the game a try and I was surprised to learn that I could play the game at full resolution on maximum settings with a silky smooth frame rate. So I did. And now I wonder why didn't I play this game before?